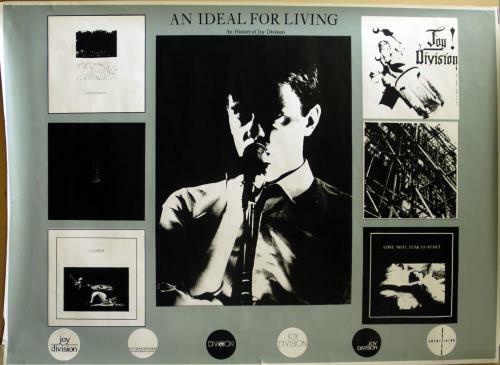 JOY DIVISION An Ideal For Living - The History Of Joy Division (Vintage, genuine, mid 1980's billboard/record store poster depicting the bands releases to date. Measuring 41" x 56" in size, this example has never been glued to any billboard and remains free of pinholes, sellotape. The edges have some light creasing due to long term storage, and there is a very small tear to the lower edge [visible in photo], however, appropriate mounting and framing would render these invisible andifanything, they only add to the vintage and authentic feel! 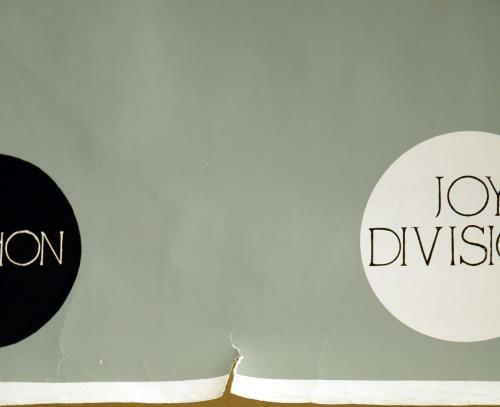 Printed to flat matt paper, this is a must for any serious Joy Division collector).